For many years, there has been a growing awareness and changing perspective towards disability all around the globe. In New Zealand, the growing consideration for people with disabilities and at the same time, recognition to what they can contribute to the society prompted the Government to pass different disability laws for their benefit. According to the Office for Disability Issues, our country is at the forefront of taking it a step further by taking a leading role in the United Nations in the “development of a convention making explicit the rights of disabled people”. The various disability laws passed in NZ, which have been in effect for many years, covers different grounds such as discrimination, health benefits, employment, including services and facilities that people with disabilities should be entitled to. New Zealand is a signatory to the United Nation’s Convention on the Rights of People with Disabilities. This Convention guarantees that people with disabilities have the same benefits and privileges granted to them as those with full capacities. Alongside this, there are a couple of important legislations in New Zealand that strengthens the rights of disabled people. Firstly, the New Zealand Bill of Rights Act of 1990. Secondly, the Human Rights Act of 1993. Parts of both these bills concentrate on protecting disabled people from discrimination. Protection for the disabled under these laws include the right to be treated as equals, choose where to live and who to live with, the right to education, the right to suffrage, the right to procreate, the right to work and a line of choose work, and the right to be a part of a community. Additionally, there have been commissions created and appointed by the Government to look after the rights of people with disabilities: the Human Rights Commission, Health and Disability Commissioner and Children’s Commissioner. These commissions do not only make sure that the disability laws of New Zealand are followed, but they also look to implement the strategies set forth by the Government. The reason for the New Zealand disability strategy is to create a paradigm to remove hindrances for disabled people to live a full life in society. Launched on April 30, 2001 the strategy aims to empower disabled people so that they can declare that their lives are important in this society. It has 15 objectives and 113 calls to action. The Office for Disability Issues is responsible for the promotion and monitoring of the New Zealand disability strategy. The body appoints a Sector Reference Group composed of 15 people of diverse experiences and expertise in the field. 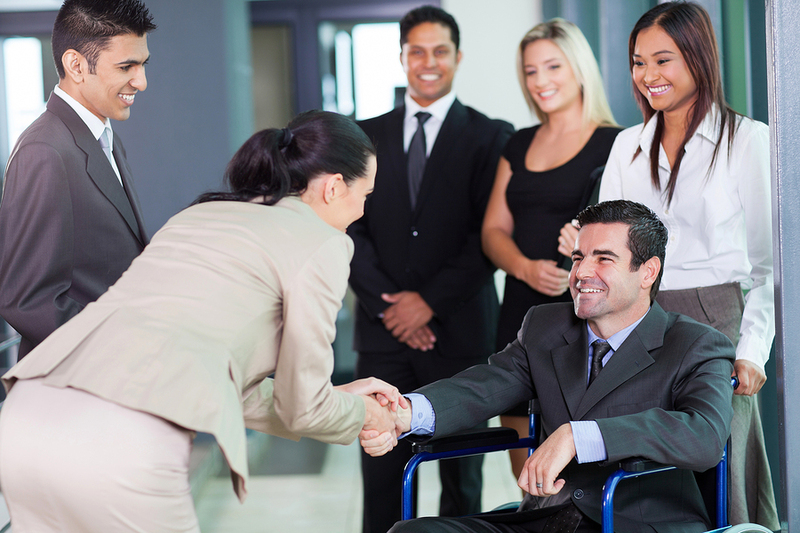 In addition to this, disabled people are encouraged to form their own forum and discussions. As members of the New Zealand community, every individual has a role to play in order to improve the lives of other Kiwis. This may be through supporting your own disabled family member or other members of your local community. Aside from the law, there have been many innovations in technology that go hand in hand with providing support. Assistive technologies like disabled access bathrooms; kitchens and many others have been coming onto the market because of the growing awareness for the needs of people with disabilities. For people with disabilities life can be challenging but with the right support and legislation, access to their rightful place in society can be much more easily achieved. It’s about community and knowing what you can do to help another person flourish in their lives. What will you do today?